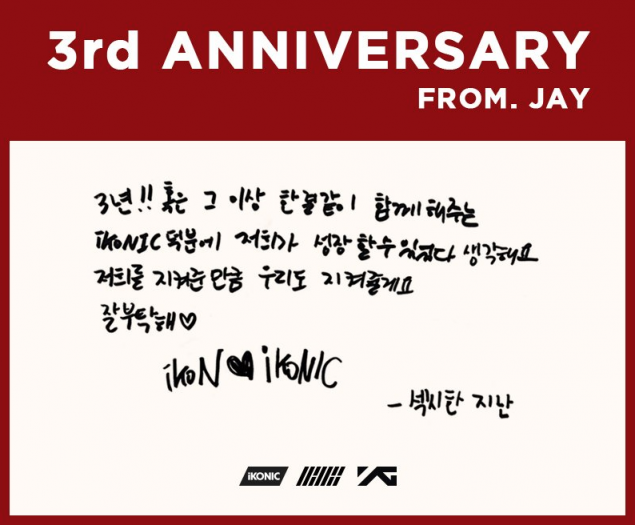 iKON is celebrating their 3rd anniversary! 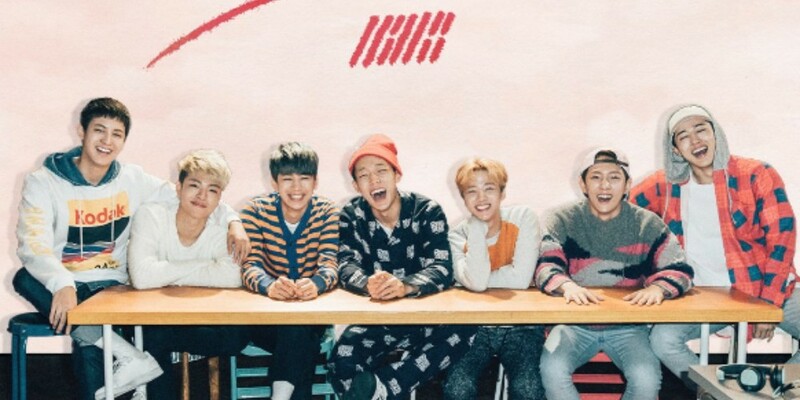 The YG Entertainment boy group made their hot debut back on September 15, 2015. This year marks their 3rd year together, and in celebration, each of the 7 members dedicated a sweet message for their fans. 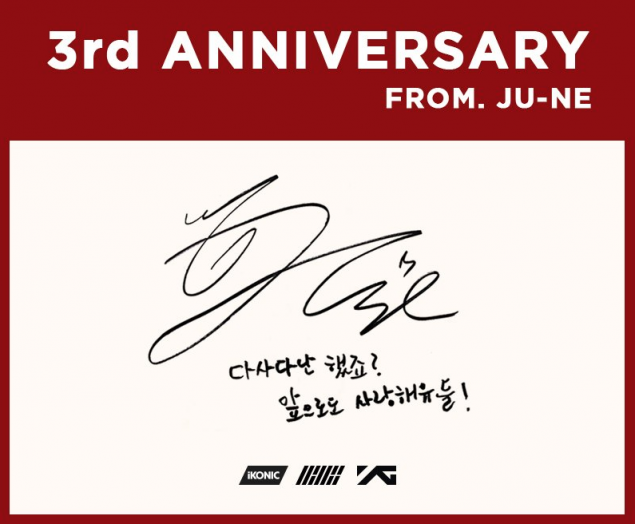 Koo Jun Hoe: Wasn't it eventful? I'll continue to love you guys! 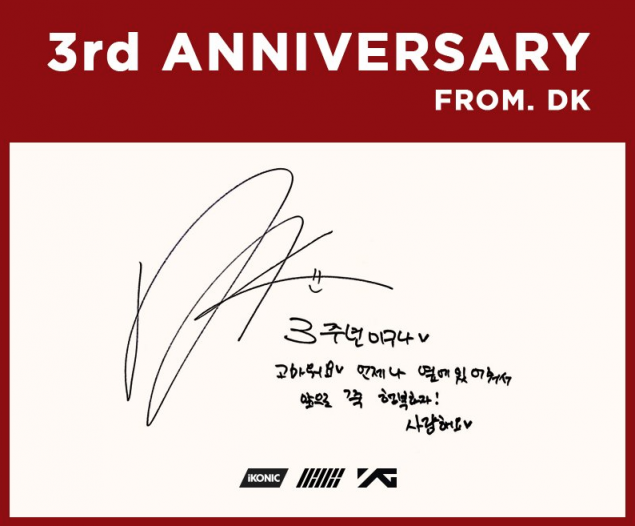 Donghyuk: It's our 3rd anniversary. Thank you for always being by my side. Let's continue to be happy! I love you. 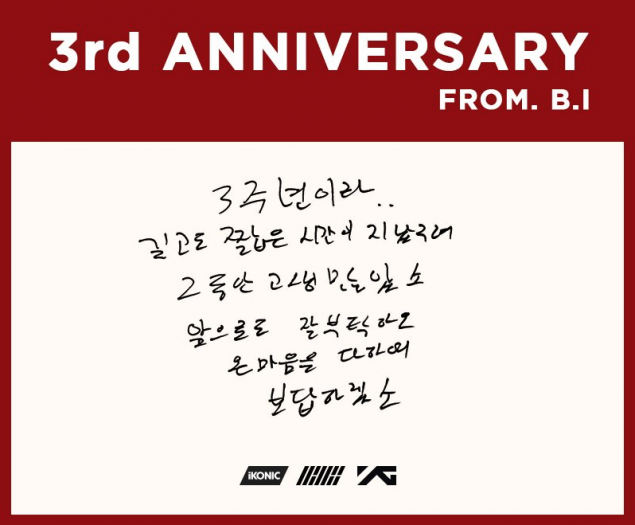 B.I: 3rd anniversary.. It was short yet a long time. You worked hard. Please continue to take good care of us. We will pay you back with all our hearts. 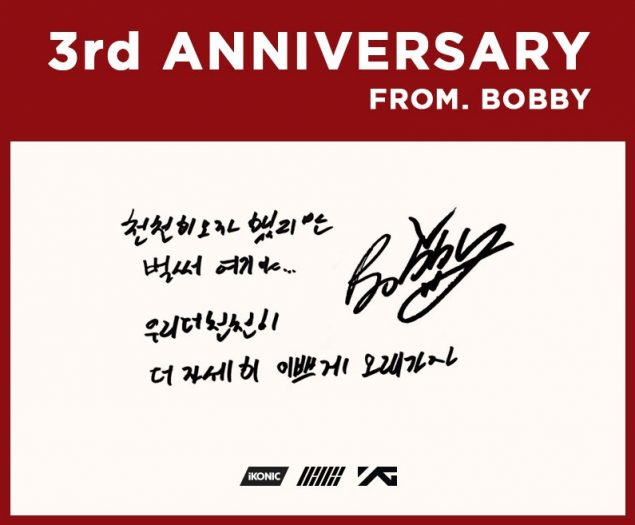 Bobby: We said to go slowly but already here... Let's last a long time together beautifully and slowly. 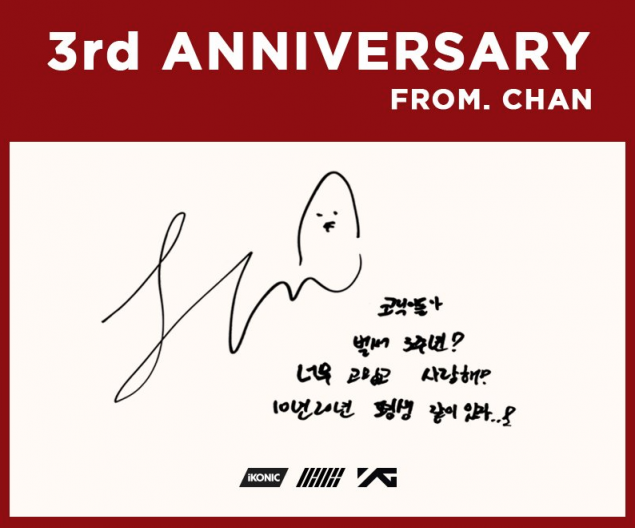 Chanwoo: iKONICs, it's already the 3rd anniversary! Thank you so much. I love you. Let's be together 10 years, 20 years, and forever. 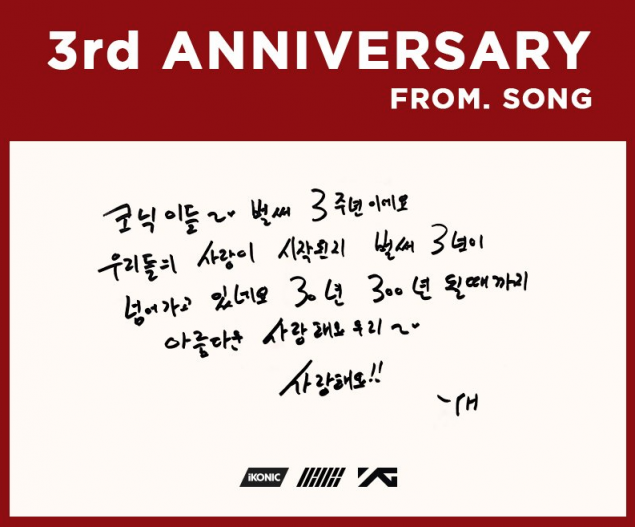 Song Yun Hyeong: iKONICs~ It's already 3rd anniversary. It's been 3 years since our love started. Let's continue our beautiful love for 30 years, 300 years and on ~ I love you! !